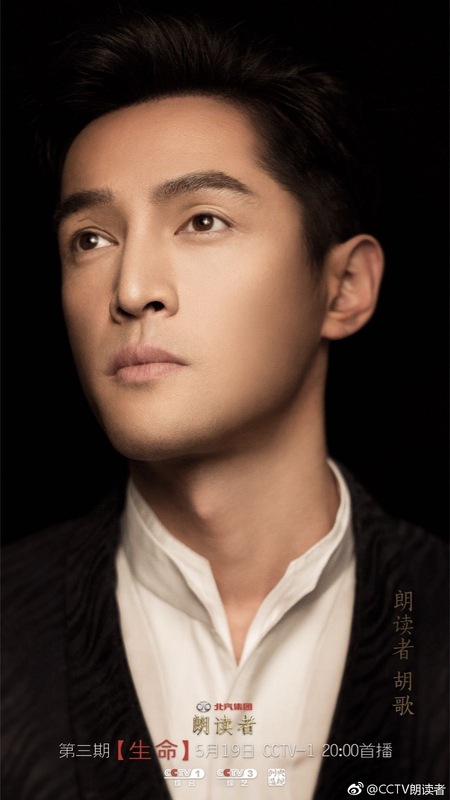 On the evening of August 29, 2006, Hu Ge got into a serious car accident on the freeway that resulted in the death of his assistant and left him gravely injured. Hu Ge sustained extensive damage especially on his right face, right eye and neck. He had over 100 stitches and had to do reconstructive surgery in Hong Kong and Korea, taking a year to recover before he could resume filming for Legend of the Condor Heroes. 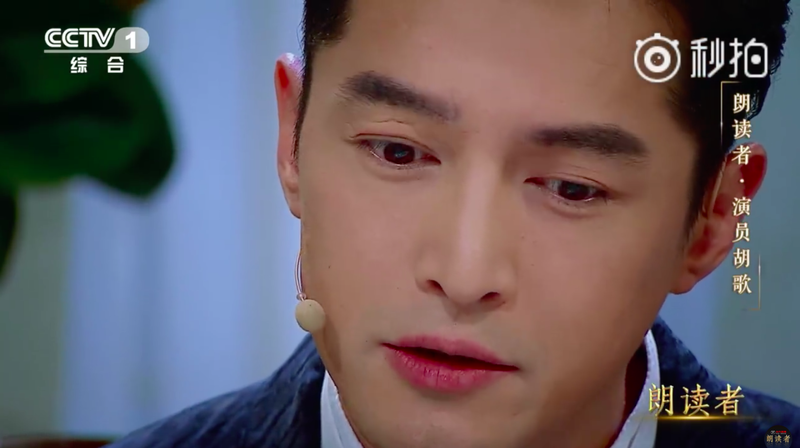 He recently appeared in the second season of the CCTV1 show The Readers where he finally opens up about his painful past. 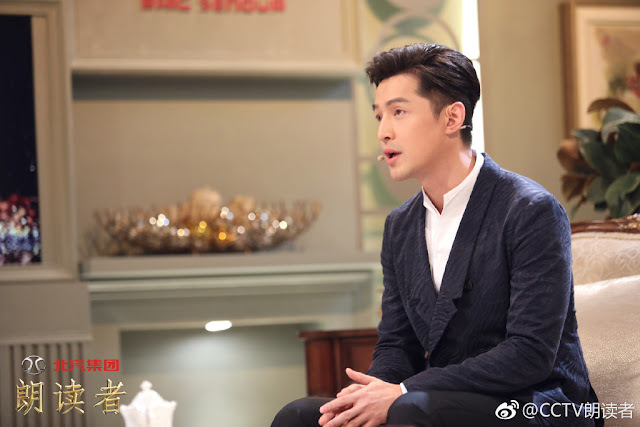 When asked by the host whether he was willing to recall the moment, Hu Ge admits that there was a time when he wasn't willing to talk about it. Because of the accident, he received glorified attention as everyone would commend him for being brave when he felt that he didn't need to have that label. Being born in the year of the dog, it was his zodiac year when the accident happened in 2006 which in a way, means that he's come a full cycle to 2018. 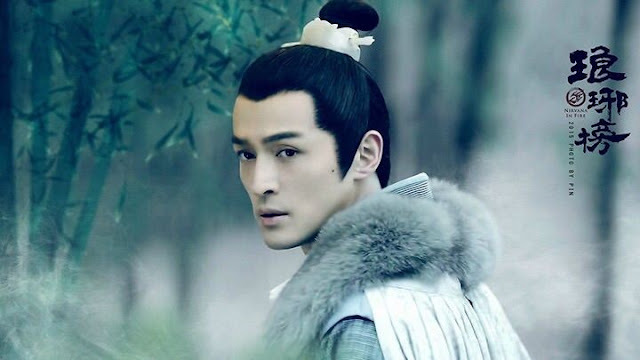 Parallels are often drawn between Hu Ge's personal experience and his breakthrough role as Mei Changsu in Nirvana in Fire who also survived a tragedy and underwent physical changes to become a new person. There's a line from the drama that goes like this. "Since you survived, you shouldn't let your it go to waste."